Positive Detroit: Mmmm Yummy! Metro Detroit's Street Eats Wed, Feb 8th! Mmmm Yummy! 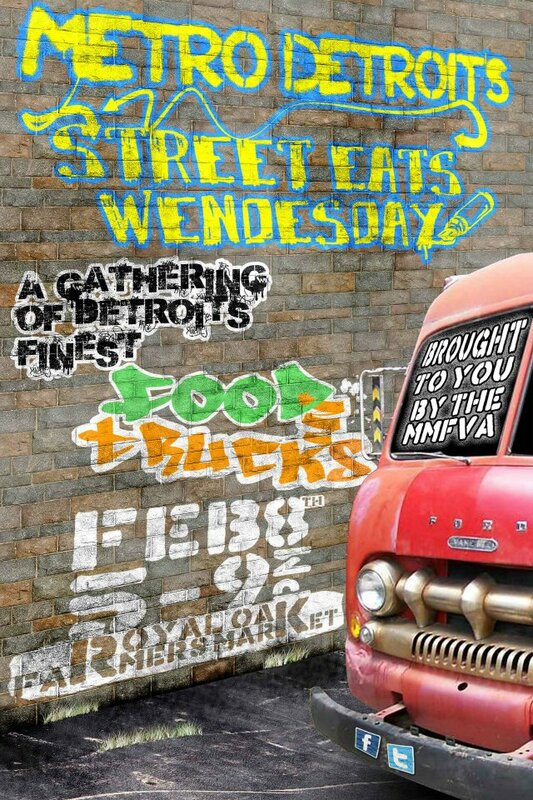 Metro Detroit's Street Eats Wed, Feb 8th! Eight food trucks and carts will serve up their best and freshest street fare Feb. 8 at the Royal Oak Farmers Market. Organized by the newly formed Michigan Mobile Food Vendors Association, the 5-9 p.m. event will be held indoors with live entertainment by the Reefermen. Participants are Treat Dreams gourmet ice cream; Jacques Tacos, El Guapo Fresh Mexican Grill, Taco Mama, Concrete Cuisine, Frank’s Anatra and Ned’s Travelburger. Admission is free, and tips will be donated to nonprofit groups. The Farmers Market is in downtown Royal Oak at 316 E. Eleven Mile, two blocks east of Main.